Retailers have long required their suppliers to provide product attributes in order to support the sale of physical goods. Once upon a time these attributes were primarily limited to internal information like SKU numbers, colors, and sizes. Thanks to the evolution of online shopping, these required attributes have grown to include consumer-facing information like product descriptions and images. Within the last year or so, product information has evolved yet again as retailers have begun to ask for more extensive product attributes in order to effectively utilize the opportunities of omnichannel commerce. 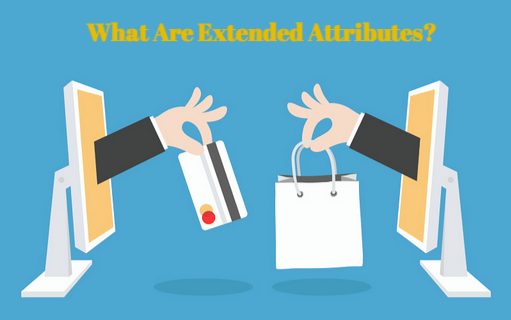 The importance of these "Extended Attributes" is demonstrated by the large-scale initiatives being pursued by major retailers across multiple product categories. These initiatives are being independently created by retailers like Walmart, Macy's, and Krogers with the goal of providing their customers with standardized, highly detailed product information in order to create a superior shopping experience for consumers and simplify wholesale buying and selling. Here's a little rundown of the initiatives currently being put into action. Kroger first introduced Project Mercury back in 2012 to help the company "bring the right products and services to the right customers at the right time." Of the many sub-programs involved in this project, standardizing and expanding how the supermarket mega-chain thinks about its products is a core theme. Project Mercury is a massive program, but there are two key initiatives that relate directly to better product information. The first is a switch to exchanging product information via GDSN. (Learn a lot more about GDSN here.) By moving to a standard data language, the company will be able to cut down on the time spent manually fixing errors and information discrepancies, and get suppliers’ products to market faster. The second initiative involves collecting additional information that “will allow [Kroger] to look at products like our customers do.” The company will put pressure on suppliers to provide product attributes like kosher labels, NuVal nutritional scores and in-depth health awareness alerts (like allergens and cholesterol) to give customers better visibility about the products they're buying. Kroger is certainly not the first retailer to recognize the importance of aligning their product information closer to how customers think. But because of Kroger's size and scope of influence, Project Mercury will require a substantially large number of suppliers to start rethinking how they capture and exchange product information. It’s easy to think about a great video or punchy description selling customers on a product once they land on the right page. But product information plays another important sales role - it helps customers successfully discover products in the first place. The SCC will provide a common standard for classifying products across retail. Once you determine your product type, you'll submit a common list of attributes and attribute values associated with each type. These attributes and values are designed to capture information that's great for search in particular - as in, the search terms "white sneaker size 10" and "New Balance white tennis shoe" will both bring customers to the same shoe across websites. Can't you just hear delighted new customers discovering your products now? Nordstrom is one of many major retailers who contributed to the development of GS1's Voluntary Extended Attributes Guidelines for General Merchandise and Apparel, and one of a handful of retailers who've publicly begun asking suppliers to provide these additional attributes. The goal of the guideline is to support omnichannel shoppers and ensure that they find the same quality product information on every channel. This quality information ranges from the "shoulder drop" of all handbags, the "sole type" for all footwear and "care information" for all categories of products. Sound intense? Well the good news is that the roll-out will be slow: there are only guidelines out for six retail categories so far - apparel, footwear, jewelry, fashion accessories, beauty and home - and only the first "phase" of a long list of attributes are currently being requested for each category. So if you carry products that fall into one of these categories (or don't, but want to get even further ahead of the game), start preparing your products for extended attributes now. Dillard's and Macy's are among the other retailers asking for these attributes. So What Does This All Mean For Suppliers? The great news is that Kroger, Walmart, and Nordstrom are all subscribing to larger data standards to propel their product information initiatives. Optimizing your product information for one, two or all three of these retailers will ultimately make it easier to exchange information with the thousands of companies who have already adopted - and are about to adopt - these standards. You'll be able to easily reap the benefits of faster time to market and decreased information exchange costs with standards-abiding retailers, and have a leg up on the competition as new retailers jump onboard. So to start 2015 on the right foot, perform an internal audit of your current toolkit. Do you have the resources you need to flexibly start collecting, managing and publishing information for each of these initiatives?